You’ve been married for years– for what may seem like a lifetime. Now, you’ve come to the end, and you need to know what is going to be hers and what is going to be yours. You don’t want to be unfair, but you need your future protected, too. It is very difficult to know if you are getting a family lawyer that actually understands how to divide military pensions– this page should help you ask the right questions to get the right divorce attorney. OR, perhaps your lawyer is charging you a lot to divide your pension, and you want to know why. OR, maybe you are a lawyer and you need to know how in the world to handle your military divorce case. This webpage should help start to solve these problems for you. Common Question 1: Will My Spouse Get a Part of My Military Retirement in Texas? Most often, yes. In Texas, the military retirement benefits that you accumulated during your marriage are considered COMMUITY property (belonging to both you and your spouse). In other words, during a divorce, there is a part of a retirement that a spouse has a right to ask for. Common Question 2: How Much of My Military Pension Will My Spouse Get in Our Divorce? The military will not award more than 50% of your pension to your spouse. In Texas, the specific answer depends on how long you’ve been in the military and how long you’ve been married. The longer you’ve been married, the greater the percentage will be awarded to your spouse, up to 50%. Common Question 2 (IN MORE DETAIL) How Much of My Military Pension Will My Spouse Get in Our Divorce? 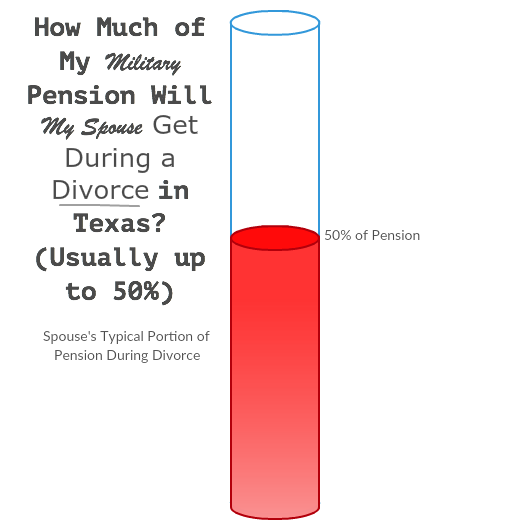 Texas calculates the spousal award of military pensions by using a formula that functions to compare the service member’s total number of months married on active duty with the total number of months that military member has towards credible military retirement. If you were in the military for 10 years, and only married for the last 5 years, your spouse would not have any right to the first 5 years of military pension credit. All of the above percentages are not difficult to figure out. The trickiest part of this formula is that you have to properly calculate the “High-36 month base pay” of the service member. Common Question 2: How Much of My Military Pension Will My Spouse Get in Our Divorce? ALL OF THAT MATH ABOVE is How the Military Answers that Question. Common Question 3: But, in Texas Can I Legally Keep My Entire Military Pension Instead of Giving Some of It To My Spouse in Texas? Yes. If you and your spouse can come up with an agreement in your divorce that allows you to keep 100% of your pension, then you can indeed keep the entire pension. Common Question 4: When Will My Spouse Actually Get a Part of My Military Pension? Your spouse does not receive a portion of the pension UNTIL you retire from the military. But, when you get divorced, the court will sign a document (a Domestic Relations Order), which will order that a portion of your retirement is legally assigned to your spouse, individually. If you have been married at least 10 years and in the service for 10 years, your spouse can receive payments from the Military (or DFAS) directly. You Sign Your Divorce Documents, But Your Spouse is Only Paid a Part of the Benefits When You Retire From the Service. Common Question 5: How Will My Spouse Actually RECEIVE the Money? The military will pay your spouse his/her part of the service member’s military retirement directly, if the marriage lasted 10 years or longer. If the marriage did not last 10 years, then the service member has to execute a Form 2558 with DFAS, which will order an allotment to be paid to the former spouse directly. Military Lawyer Guide, Step 1. Figure out whether you are dealing with a military retirement division case by asking these three questions of your service member client A.) How long have you been or were you active duty military? B.) Were you married during the time that you were active duty military? C.) Is your spouse seeking any part of ANY of military retirement benefits? Tip*: Sometimes a future ex-spouse does not want any part of the service member’s retirement. Military Lawyer Guide, Step 2. Learn some military terminology that will enable you to ask your client for the proper documents you will need to know in order to work on this case properly. Tip*: Do NOT skim over this section. IT WILL SAVE YOU A HUGE HEADACHE if you take five minutes to memorize these terms as your case will be dealing with these consistently. Just memorize the terms so that you know what your templates on westlaw, etc are referring to! GROSS retired pay: The absolute TOTAL amount that the service member is entitled to receive prior to tax withholding, etc. DRO: Domestic Relations Order – the document you will draft, execute, and send to the military to administer the military pension division. Military Lawyer Guide, Step 3. *Pension divisions for retired military members are a bit more simple to handle because the actual retired income is not an unknown at the time of divorce, as with an Active Duty service member case. Now, it is time to do some very easy math. I know, you went to law school because math was not your strong suit. This is easy math. You can do it. The number of months in military service WHILE Married DIVIDED by the total number of months in military service. Simple right? Using all the information you collected before, you can use the amazing FREE internet calendar calculator, to plug in the dates and get the number of months for each. http://www.timeanddate.com/date/duration.html. This number will be expressed as a percentage on your DRO. If you were married the entire time that you were active duty, then this calculation is simply 100%. If you were married for the last 80 months, and in the service for the last 100 months, then the calculation is 80/100=.8 (which is 80%). 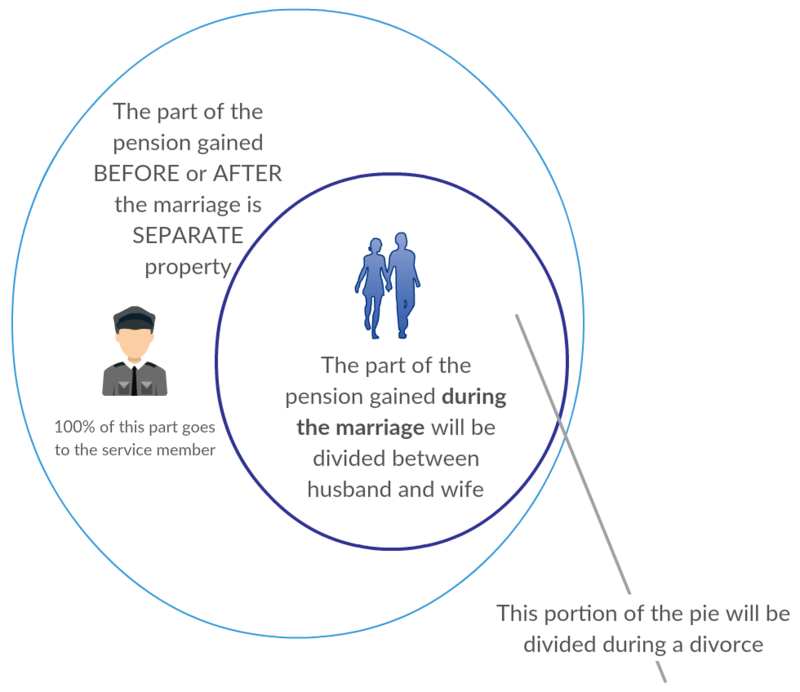 EXPLANATION OF THE REASON FOR THIS CALCULATION: The purpose of this calculation is to figure out the total amount of the pension that is marital COMMUNITY property. Any portion of the pension that was gained by the military member while the parties were not married is separate property in Texas. When you are drafting the DRO, you will have to plug in this percentage—which will be A LOT easier if you have already figured it out. 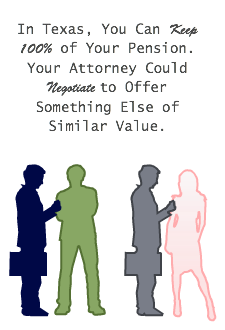 Lawyer Guide For Dro Case, Step 5. 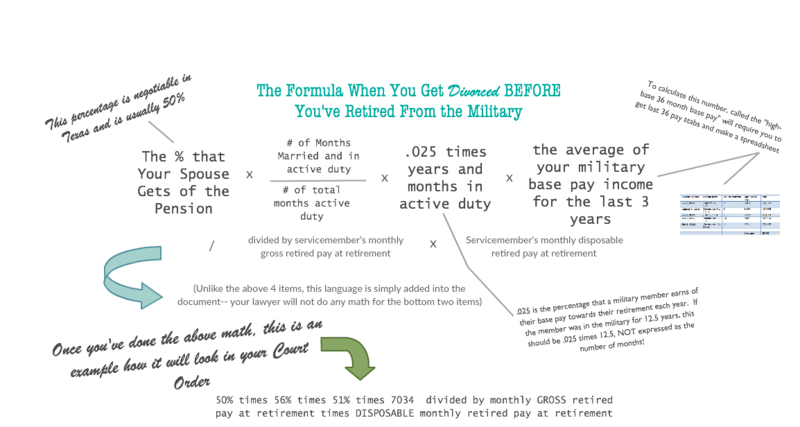 EXPLANATION OF THIS CALCULATION: IF a service member retires at 20 years, the military member earns 2.5% of their income towards retirement each year. So 2.5 % (or .025) multiplied by the total time (years + months) the service member has been active duty, enables you to calculate the total allotment the service member has gained upon retirement. In this case, the hypothetical says the service member has earned 31%. So, if he/she retired, they would get a monthly retirement check of 31% of their base pay earnings. Brace yourself for the next one—this is the most time consuming calculation of the 3—High-Three Base Pay: You must figure out the average base pay income from the last 36 months of the service member. It seems like you would just add up all of the income for the service member for the last 36 months and divide it by 36 and you would have your answer. But, when you have the 36 LES statements in front of you, it is likely you will see that more is involved. In order to do this part, you HAVE to create a spreadsheet. Nope, there are no shortcuts for this if you want to do it properly. Once you have received the above information AND have used it to do the three calculations above, you are ready to draft your domestic relations order (this is like a QDRO only no Q). You should draft the DRO from a template. FormBuilder has templates, and Texas Online CLE’s library has some template packets that you can use to retype, if necessary. Here is a copy of a domestic relations order: You have already done most of he heavy lifting because you learned the terminology, so you can just plug in the information, which you collected from your client before, and plug in the percentages, which you calculated already. Wallah—a DRO is complete. Are you finished?! Nope. Get the DRO signed by the Judge on the date of your divorce—make sure that both parties are fully aware and given notice of the contents of DRO—perhaps have the parties sign the DRO, though this is not necessary. Pursuant to the terms of the Uniformed Services Former Spouses’ Protection Act, 10 U.S.C. 1408 I enclose herewith. Copy of the parties’ Decree of Divorce that has been certified within the last 90 days. Copy of the parties’ Domestic Relations Order (Military Retirement). Certificate of Finality of Court Order. Copy of the parties’ marriage certificate. Please consider this letter a formal request on behalf of Former Spouse that DFAS will make payments directly to Former Spouse in the amount of retired pay specifically provided for in the enclosed Domestic Relations Order. Please send your notification of your receipt of this letter and the enclosed documents. If further information is required, please inform me as soon as practicable. There is not a special class or training course that lawyers take in order to be deemed official military lawyers. Rather, a military lawyer is most often simply a person that is willing to represent military personnel in a lawsuit. While Googling for local military lawyers may be a good starting point to find a lawyer, it should be just the beginning of your search because the title doesn’t mean absolute expertise. Is My Lawyer Charging Too Much Money for My Military Divorce? Military Divorce Cases that Involve Pensions Are More Expensive—Here’s Why. Did you just read all of the steps your attorney needs to take to divide the pension? Those steps are going to take your attorney and support staff about 6 – 15 hours extra, so the divorce with military benefit divisions costs more. If you have been calling around for quotes from attorneys that handle military divorces in Bexar County, Texas, you have quickly encountered a simple fact; Attorneys charge more for divorces involving military pension divisions. If the Attorney DOES NOT charge more for military retirement division case, it may be because they have NEVER handled one! Beware of this risk—Obviously, you want a lawyer that has handled military divisions in the past. Lawyers do NOT need to have experience dividing military benefits in order to advertise that they do military divorces. So, yes you should pry into their expertise before handing over your credit card. How can you figure out if your lawyer has handled military divisions? Ask them for a redacted copy of some of the military documents they have drafted (I have enclosed on of mine to the bottom of this post). Or, ask them for the case numbers of some military cases they have handled, and then go look up the cases in the basement of the Elizondo tower.  You really should do your due diligence when hiring a lawyer for a complex divorce. If your case involves a military pension, IT IS A COMPLEX DIVORCE. Make sure that the service member has notice of the order dividing the retirement, so that it cannot later be rendered void! The service member has the right to elect VA disability compensation, which will reduce the spouse’s total amount of retirement interest, once it is calculated when the service member retires. The DRO should designate a minimum amount that the spouse will receive, to prevent a reduction of his/her award. When the service member passes away, the spousal pension payment stops. But, some spouses qualify to get SURVIVOR benefits, if the spouse is designated as the beneficiary of this. So, make sure to negotiate for this, when possible. Within a year of the divorce, the spouse MUST register as the beneficiary of the service member’s survivor benefits, or the right is lost. Attorneys, feel free to cut and paste it. BUT BEWARE, not all DROS are the same; Please do not assume these details are applicable to YOUR client. The Court, having entered a decree of divorce coincident with the signing of this domestic relations order, finding that the entry of a domestic relations order (DRO) is necessary to effectuate the terms of that decree of divorce, and further finding that the entry of a DRO is appropriate, makes the following findings and conclusions of law and enters them as an order in this proceeding. This Court has jurisdiction over XXXXXXXX. The residence of Servicemember is in San Antonio, Bexar County, Texas, other than because of military assignment. Servicemember, and XXXXXXXXXXXXX, (“Former Spouse”), were originally married on July 3, 2004, and that marriage lasted for 11 years and 2 months or more, during which time Servicemember served 11 years and 2 months or more of creditable service toward retirement. Servicemember’s Social Security number is __________________________, his address is XXXXXX. Former Spouse’s Social Security number is _________, her address is XXXXXXXXXXXXX. The rights of Servicemember under the Servicemembers Civil Relief Act were fully complied with in this case. Servicemember is not retired from the United States Air Force at the time of this order. The award of disposable retired pay made to Former Spouse in this order is made in compliance with the Uniformed Services Former Spouses’ Protection Act. It is intended by this Court and the parties that the Defense Finance and Accounting Service (DFAS) designee make the payments due to Former Spouse of her interest in the disposable retired pay awarded in this order directly to Former Spouse. “Retired pay” means monetary pay to which Servicemember is, or may hereafter be, entitled to receive on completion of the requisite number of years of creditable service to be entitled to nondisability retired pay as a result of service in the United States Armed Forces (active duty, reserve component, or national guard), whether called retired pay, retainer pay, or retirement pay. “Disposable retired pay” has the meaning provided in the Uniformed Services Former Spouses’ Protection Act (10 U.S.C. § 1408 et seq.). “USFSPA” means the Uniformed Services Former Spouses’ Protection Act (10 U.S.C. § 1408 et seq.) in effect on the date of the parties’ divorce. 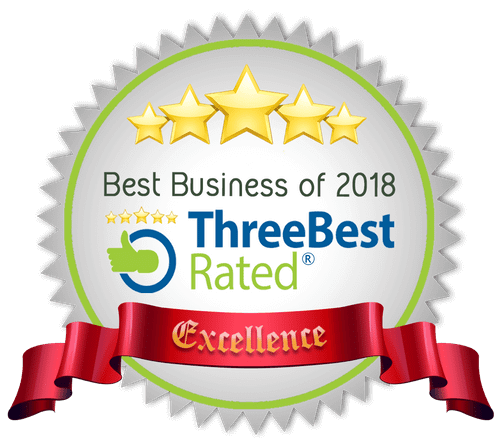 “Defense Finance and Accounting Service” (DFAS) means, refers to, and includes the Secretary of the Department of Defense, the Director of the DFAS, the designated agent of either of these, and other appropriate subdivisions of the United State Government. “COLA” means the cost-of-living adjustment increases that are made annually to a military retiree’s retired pay pursuant to 10 U.S.C. § 1401a. IT IS THEREFORE ORDERED that Former Spouse have judgment against and recover from Servicemember, on Servicemember’s retirement from the United States Air Force, the amount of disposable retired pay calculated as follows 50 percent multiplied by 58 percent multiplied by 50 percent multiplied by 8038 divided by Servicemember’s monthly gross retired pay at retirement multiplied by Servicemember’s monthly disposable retired pay at retirement. IT IS FURTHER ORDERED that DFAS, to the extent allowed by law, pay Former Spouse each month the calculated percentage of Servicemember’s disposable retired pay at retirement, together with all COLAs applicable thereto, payable, IF, AS, and WHEN received by Servicemember. IT IS FURTHER ORDERED that the rest, residue, and remainder of the military retired pay of Servicemember is the sole and separate property of Servicemember. IT IS ORDERED that if the dollar amount or award (or a larger sum as increases take effect) exceeds 50 percent of the disposable retired pay, DFAS shall pay to Former Spouse the maximum amount allowable under the USFSPA and Servicemember shall be responsible for paying the balance of the award each month to Former Spouse, and it is accordingly ORDERED. If DFAS is not allowed to pay Former Spouse the full amount of Former Spouse’s entitlement pursuant to this order form any reason, Servicemember is hereby ORDERED, within seven days of being notified by Former Spouse that Former Spouse is not receiving the full amount of Former Spouse’s interest in the retired pay, to execute and deliver to DFAS all forms or documents that may then be necessary to effect an allotment payable to Former Spouse in the amount of the difference between the amount being paid directly to Former Spouse by DFAS and the full amount of Former Spouse’s interest in the retired pay. Servicemember is FURTHER ORDERED to keep and maintain in full force and effect any allotment required by this provision, payable to Former Spouse at 403 N Cass St, Middletown, DE 19709, or such other address as Former Spouse may hereafter specify in writing, until such time as Former Spouse begins receiving Former Spouse’s full separate-property share of Servicemember’s disposable retired pay as awarded herein directly from DFAS. That allotment may be canceled by Servicemember if and when Former Spouse begins receiving, and for as long as Former Spouse is receiving, Former Spouses’ full separate-property share of Servicemember’s disposable retired pay directly from DFAS, but only in that event or to avoid double payment of sums. Since Former Spouse has been awarded the right to receive that share attributable to the interest awarded to Former Spouse herein of any and all COLAs or other increases in the monthly disposable retired pay hereinafter paid and if Former Spouse is not receiving from DFAS his full share of the retired pay herein awarded to Former Spouse, if and when COLAs are made to the retired pay received by Servicemember, Servicemember is hereby ORDERED to execute and deliver to DFAS all forms or documents that may then be necessary to effect an increase in the allotment to Former Spouse in the amount equal to the dollars-and-cents equivalent of that COLA attributable to Former Spouse’s share of that disposable retired pay. Servicemember is hereby ORDERED to increase the allotment then in effect or, if applicable, initiate an allotment pursuant to the foregoing paragraph, within seven working days of the date Servicemember is notified by DFAS of the effective date of each COLA to the monthly retired pay payment. IT IS FURTHER ORDERED that Servicemember be and is hereby designated a constructive trustee for the benefit of Former Spouse for the purpose of receiving the retired pay awarded herein to Former Spouse as Former Spouse’s sole and separate property, and Servicemember be and is hereby ORDERED, on receipt thereof, to deliver by first-class mail to Former Spouse at her last known address by negotiable instrument that portion of each monthly retired pay payments awarded to Former Spouse herein not paid directly (or by allotment) by DFAS within three days of the receipt of any such payments by Servicemember. 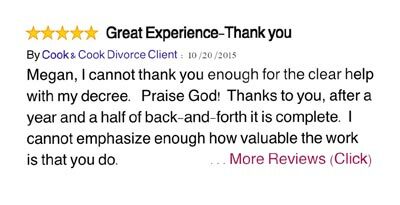 All payments made directly to Former Spouse by DFAS shall be a credit against this obligation. For purposes of this order, Servicemember is specifically directed, on penalty of contempt, to pay Former Spouse’s interest in the disposable retired pay as ordered in this order, AND IT IS SO ORDERED. Servicemember is specifically directed that he is not relieved of that obligation except to the extent that he is specifically notified that 100 percent of Former Spouse’s interest in the retirement benefit has been directly paid by DFAS, and IT IS SO ORDERED. IT IS FURTHER ORDERED that any election of benefits that may hereafter be made by Servicemember shall not reduce the amount equal to the percentage of the retired pay or the amount of the retired pay the Court has herein awarded to Former Spouse, except as provided by federal law and prohibited from being changed by a state court order. In this regard, IT IS FURTHER ORDERED that Servicemember shall not merge his military retired pay with any other pension and shall not pursue any course of action that would defeat, reduce, or limit Former Spouse’s right to receive Former Spouse’s full separate-property share of Servicemember’s retired pay as awarded in this order, unless otherwise ordered herein. IT IS ORDERED that the payment of the retired pay awarded in this order to Former Spouse shall continue until the death of Servicemember or Former Spouse. IT IS FURTHER ORDERED that Servicemember shall deliver by first class mail to Former Spouse at 403 N Cass St, Middletown, DE 19709, or such other address as Former Spouse may hereafter specify in writing, a true and correct legible copy of each Retiree Account Statement received by Servicemember from DFAS within five day of its receipt. IT IS ORDERED that Servicemember hereby waives any privacy or other rights as may be required for Former Spouse to obtain information relating to Servicemember’s date of retirement, last unit assignment, full pay grade, past or present monthly annuity payments, or other information that may be required to enforce this award or to revise this order to make it enforceable. IT IS ORDERED that Servicemember shall notify Former Spouse of his application for retired pay, and provide Former Spouse with a true copy of his Application for Retired Pay Benefits, on the date he applies for those benefits. This notification shall be mailed by Servicemember to Former Spouse at her last known address. Servicemember is FURTHER ORDERED to provide to Former Spouse a true and correct copy of the first Retiree Account Statement received by him within five days of its receipt. Former Spouse is hereby directed to apply for Former Spouse’s entitlement to a portion of Servicemember’s retired pay by contacting the DFAS Legal Department, completing the Application for Former Spouse Payments from Retired Pay (DD Form 2293), and delivering it along with a certified copy of this DRO (certified within ninety days of its delivery to DFAS) and a photocopy of the parties’ marriage certificate to: DFAS-HGA-CL, Assistant General Counsel for Garnishment Operations, P.O. Box 998002, Cleveland, Ohio 44199-8002 by certified mail, return receipt requested. IT IS FURTHER ORDERED that Former Spouse shall include in her gross income for her taxable years of receipt all retired pay received by Former Spouse pursuant to this order, and, to the extent benefits are payable to Former Spouse by DFAS, Servicemember shall not include such benefits in Servicemember’s gross income for such taxable years. The Court further finds that Former Spouse should not be designated as a former spouse beneficiary of Servicemember’s Armed Forces Survivor Benefit Plan, and IT IS SO ORDERED. Although the Court and the parties intend that DFAS make direct payments to Former Spouse of Former Spouse’s interest in the disposable retired pay awarded herein, IT IS FURTHER ORDERED that, if this order does not qualify for direct payment, Servicemember shall cooperate and do all things necessary to aid Former Spouse in obtaining a clarification of this order that will qualify for direct payment of Former Spouse’s interest in the disposable retired pay awarded in this order. IT IS FURTHER ORDERED that this Court reserves jurisdiction to enter such a clarifying order. If you need a Bexar County divorce attorney to handle your case involving military retirement benefit divisions, we can help you (210) 271-2800. 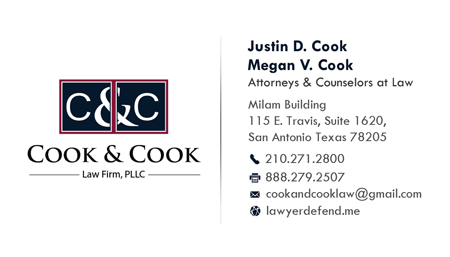 Call Bexar County, Military Divorce Lawyer, Megan V. Cook, Today: (210) 271-2800.